The cannabis extract is being hailed as a miracle drug. Is there any evidence that it works? Some puff it from a vaporizer, but it’s mainly produced as an oil concentrate, allowing it to be mixed in juice or other liquids and consumed by drinking. It’s also being blended into bath bombs, lotions, and ointments as a topical treatment, and added to nearly every food imaginable, from ice cream and smoothies to gumdrops and salad dressing. A ritzy New York hotel offers an all-CBD room-service menu (meatballs and tater tots are best-sellers), and for a few extra bucks, cafés across the country will add a shot of it to your latte. Last summer, stoner icon Willie Nelson began selling “Willie’s Remedy,” a CBD-infused coffee, and major companies such as Coca-Cola are rumored to be considering bringing CBD beverages to the mass market. It’s actually in a gray area. The Food and Drug Administration still classifies CBD made from the marijuana plant as a Schedule 1 substance, along with drugs like heroin and LSD. Just one CBD-based pharmaceutical—Epidiolex, which treats rare forms of pediatric epilepsy—is FDA approved, and it’s illegal for CBD products to advertise medical benefits. 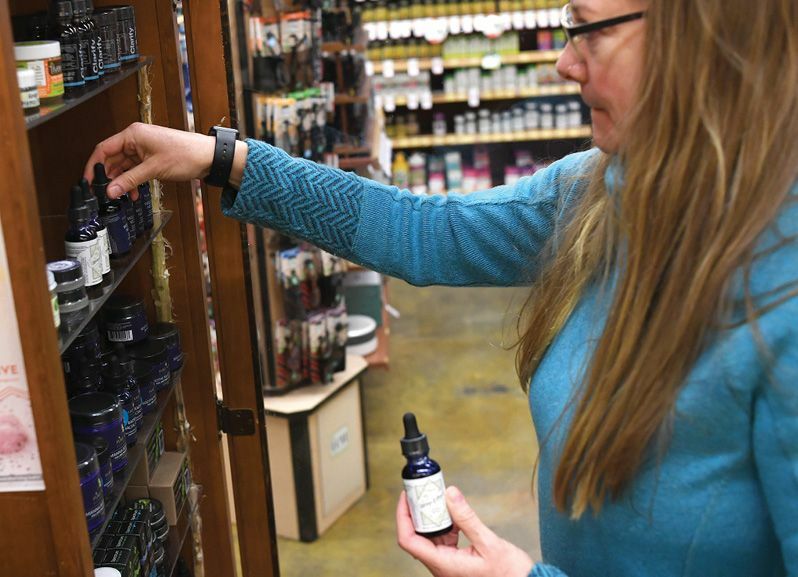 Nonetheless, many small shops and online retailers sell hemp-derived CBD in states where marijuana is banned. The legality of CBD got a big boost in December, when President Trump signed the 2018 Farm Bill, which legalized commercialized hemp production. (It had been outlawed in 1937.) Hemp is a cannabis plant that contains less than 0.3 percent of the psychoactive compound THC and has been used for millennia in food and to make products like rope, paper, and textiles. The new law did not explicitly legalize hemp-derived CBD, but opened the door for the burgeoning market to become federally regulated. Most findings are preliminary at best, since research on CBD itself began only a few years ago. Studies on both animals and humans so far have found some evidence it might alleviate psychotic disorders, lessen anxiety, relieve mild or moderate pain, and reduce insomnia; as for cosmetic claims, one study found CBD reduced visible signs of aging in mice. Scientists say, however, that high-quality, double-blind clinical trials on humans need to be conducted to verify CBD’s purported benefits. There’s also uncertainty about proper dosage levels, CBD’s side effects, and how CBD products interact with other drugs.